It is not everyday I dine with an award winning filmmaker and a published author. 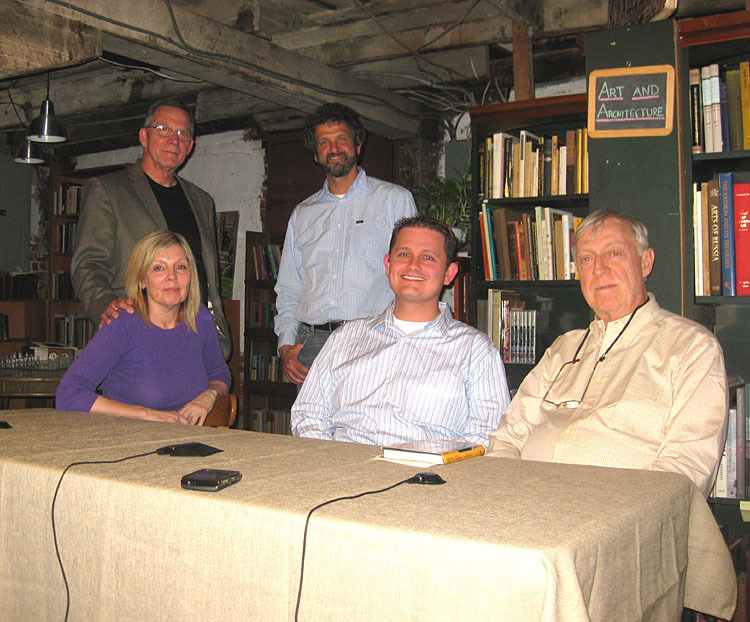 And it is a rare occasion to be on a panel with both of them to discuss the life and works of John Kennedy Toole. But on May 8th Joe Sanford and Bobbie Westerfield flew up from New Orleans and joined Joel Fletcher and me for dinner. Compliments to Joel and John Copenhaver–chef and host extrordinaire, respectively. Afterward we all went to the screening of Sanford’s documentary. The first screening was sold out. It was wonderful to hear the audience respond to interviews with people that Joe, Joel and I have come to know well in our exploration of the Toole story. And it was much fun to field the many questions that surround Toole’s life and work. Many thanks to Paul Lewis of the Athenaeum and Rappahanock Independent Film Festival for organizing the evening. For those of you who could make it, thank you for coming. And for those who could not make it, I hope the film will be available in a theatre near you soon. I like Susanna Powers’s suggestion of a screening at the Prytania….How fitting! Image–Standing from left to right: Joe Sanford and Paul Lewis. At table from left to right: Bobbie Westerfield (Producer), Cory MacLauchlin and Joel Fletcher.